I am out of town this weekend to celebrate two of my very best friends! One is having her daughter's first birthday and the other and I are doing a "mini bachelorette party" to make up for me having to miss her real one in May! So getting to go away to my home state of Washington for some quality time with friends a real treat. Here is how I am planning for it! Anyone ever find that when they return home after being away that things are a bit crazy back at home? Husbands are awesome partners but there are just certain things that I know at least in my home are going to go undone while away: grocery shopping and meal planning, to name just two. So while there isn't much I can do to plan in advance for the piles of laundry that will be awaiting my return, I can have this meal plan ready to go before I get home! This allows me to not only get off my red-eye on Sunday night with a plan, but also the chance to pick-up groceries that I already ordered from my plan on the way back from the airport. Win-win! Interested in walking through the steps to meal plan like a pro? Download your copy of my Meal Planning Playbook. 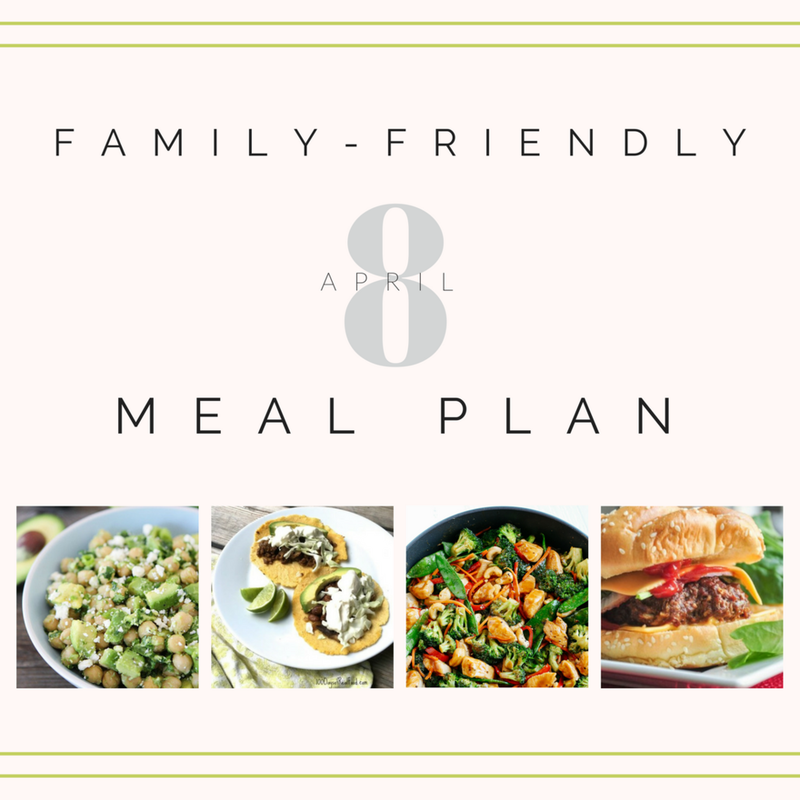 It outlines the following five steps of successful meal planning in more detail so you can achieve "Less Meal Time Stress and More Feeding Success" for your own family! A special thanks to each of the following contributors for the delicious recipe ideas this week! My Plate: I had a shallow bowl with rice at the base and the cashew chicken piled on top. I put the edamame into my bowl, then ate the grapes separately as "dessert." Having a preferred food at the table like edamame in the pod is a great way to keep kids engaged and eating on a night that might not be their "favorite" meal. Fine-motor practice plus plenty of nutrition packed into the edamame, making for an enjoyable meal where everyone enjoyed at least something! Want the breakdown of how we use "Love it, Like it, Learning it" with EACH meal idea shared for the week? My newsletter subscribers benefit from seeing how EACH meal plan menu item is broken down with "Love it, Like it, Learning it" suggestions (based on my children's preferences). This is free for subscribers and removes the guesswork with what (or how!) to serve each of the weekly menu items. Shortcuts. I looooove them. I rarely did before motherhood because the frugal, past-Grad-student in me was convinced I could "make it myself for cheaper." As a mom though, I live by these products that are all the ingredients I would otherwise use, already all in one! That's why this is one simple salmon-lovers dream! Shared out of inspiration for the fact I am in Seattle myself this weekend, this Tom Douglas' Salmon Rub is a staple in our home (affiliate link). It makes whipping out a delicious salmon effortless...not to mention inspiring a meal that my mom-brain may not otherwise be up to putting much effort or inspiration into! Try it out, and tell me what you think (affiliate link)! 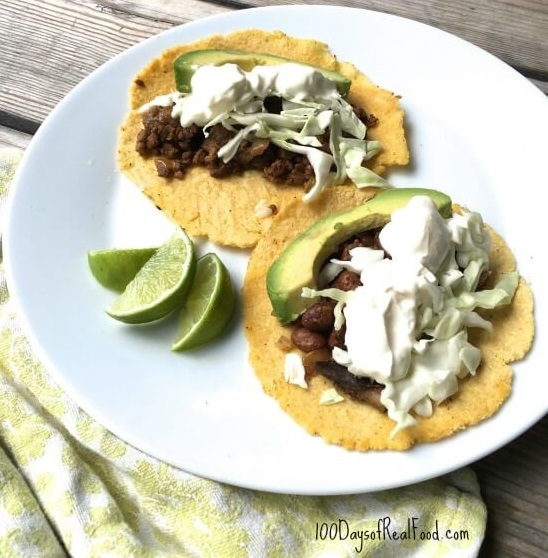 Want my free grocery list download? Download it here. Want your own tear-off pad of my go-to grocery list to keep on the fridge? Order your 6-month magnetic grocery list notepad here. Make in advance to have as a side on Sunday, as well as for lunches during the week. Dice onion and garlic, or buy pre-diced. Use pre-sliced mushrooms. Brown meat in advance and cook with vegetables, then store in glass container until the night this is to be eaten. Use frozen stir-fry veggies from Costco to save time! Thaw meat the night before. Cut shallots in advance and add in with the garlic when cooking!